A thought leader in the facilities management, procurement, project management, and supply chain industries for more than three decades. He is also a respected adviser and mentor within IFMA. Dean has received numerous awards for the implementation of the best value approach that includes how an entire country (the Netherlands government) changed their model in buying not only construction, but professional services as well. He is credited with establishing best value programs at six different universities around the world. The results at ASU led to an investment of $100 million first of its kind and the vendor is still surpassing their milestone goals for the University. He is responsible for creating tools that are simple yet have dominant impact in the entire professional supply chain [from procurement, to managing an entire project, to the full maintenance of the service after completion]. Dean has tested his best value concepts, which is the most licensed technology out of Arizona State University in the last 20 years  on over 1900+ projects [$4B in construction and $2B in non-construction services], with 98% success (on time, within budget, and client highly satisfied). Dean continues to champion programs to advance the procurement, project management and engineering professionals and prepare the next generation. He has been a professor and researcher for 25 years at ASU. Prior to ASU, he served 14 years in the U.S. Air Force and retired as a Major. 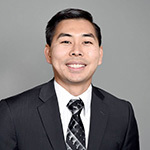 Project Director | KSM inc.
Dr. Jacob Kashiwagi is a thought leader in leadership development, procurement, project management, and supply chain management. He worked alongside his father, Dr. Dean Kashiwagi, to co-develop the Best Value Approach through a global research effort. Their groundbreaking model is the most licensed technology out of Arizona State University in the past 20 years (54) and has been tested on over 2,000 projects valued over $2 billion, with a 98% success rating (on time, within budget, and client highly satisfied), and savings of 10-30% on all project costs. The global success of the Best Value Approach inspired Dr. Jacob to author the No-Influence Leadership Model. Today, this model is the philosophical foundation of the Leadership Society of Arizona (LSA), a non-profit educational research and program development organization that specializes in leadership and social-emotional learning. Now, a #1 new seller on Amazon, Dr. Jacob continues to champion programs to advance the field of leadership development. 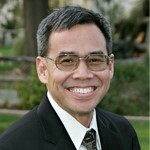 He is the Managing Director at Kashiwagi Solution Model Inc., a Best Value Consultant at Performance Based Studies Research Group (PBSRG), and the Chairman of the Board at Leadership Society of Arizona. After 14 long years of school, Jake realized that he still had no idea what he was doing in life. Like many other young students, Jake learned a lot of valuable information in school, but none of it helped him find his way in life. Jake has since made it his mission to revolutionize how we prepare young professionals to be successful by teaching them the power of using logic and observation to discover their own strengths and learn to leverage the expertise of the people around them. In an effort to connect with more students, Jake co-founded a leadership development non-profit organization, and has since worked with over 500 high school students in Arizona. The crux of Jake’s efforts stems from his research at Arizona State University (ASU). 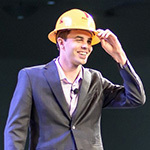 Jake earned his Ph.D. in Construction Management with a research focus on integrating engineering and scientific processes with professional talent management and leadership development. Using his research background, Jake co-founded the Leadership Society of Arizona with the objective of providing young students with professional success coaching to help them prepare for their futures. Today, Jake continues to manage LSA and work as a professional consultant for teachers and professional development coaches in Arizona. Learn more about our great keynote speakers!